MOTIONrehab’s truly inspirational client, Jason Liversidge, was asked by Hornsea Rotary Club to open their annual One Third Marathon on Sunday 8th April 2018. 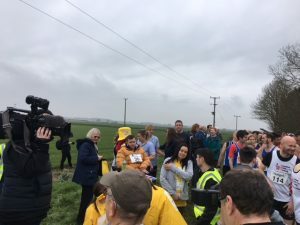 The 42-year-old dad of two not only opened the event, he also decided to take part. 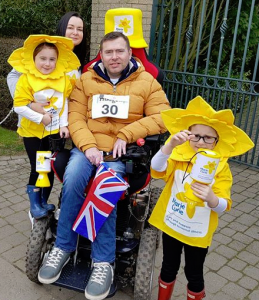 Jason, who lost the ability to move after being diagnosed with the muscle wasting disease (MND – Motor Neurone Disease) in 2013, took part in his wheelchair to raise money for Marie Curie. The self-confessed adrenaline junkie has not let his condition get in the way of his passion for excitement and raising money for charity. He has also climbed Mount Snowden, abseiled off the Humber Bridge as well as taking on the longest zip line in Europe.